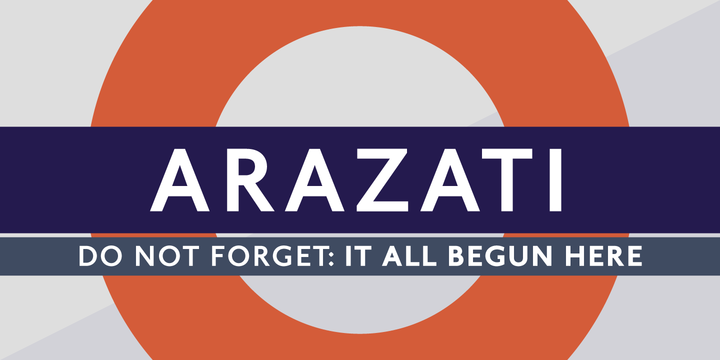 Arazatí is a modern sans serif typeface created by Vicente Lamónaca and published by TipoType which was inspired by Edward Johnston. It is available in 48 styles of 422 gliphs each, 3 widths (Condensadas, Regulares, Expandidas), each with 8 weights and two monospaced (Codex & Codex Ariel). It is ideal for branding, logo, magazine, packaging, text etc. Enjoy! Price: starting from $9,99 for one font to $249,99 for all 48 fonts. A font description published on Tuesday, June 6th, 2017 in Fonts, TipoType, Vicente Lamonaca by Alexandra that has 4,116 views.